Burton Morris, Kernal of Knowledge. Photo: Courtesy Pop and Contemporary Fine Art. SINGAPORE.- What better way to start the year then with an exhibition of Burton Morris. In his post-Pop style, Burton Morris boldly projects an enticing mood of happiness, high energy and fun. He chooses one subject per composition to create what he calls an instant happening for the viewer. In his paintings, Morris energizes every day images with his unique style so that a steaming coffee cup, a swirling martini and a dancing popcorn box all take on a new life under his paintbrush. Burton Morris was born in Pittsburgh, Pennsylvania (the birthplace of Andy Warhol and Keith Haring) in 1964. His forbears were Andy Warhol, Roy Lichtenstein, Tom Wesselmann and Red Grooms whose influences can be seen in his work today. The artist established the Burton Morris Studios in 1990 and his rise to fame began when NBC engaged him to produce artwork for the hit US sitcom, Friends, something Burton continued to do for the full 10 year run of the acclaimed worldwide hit show. This proved to be a stepping stone on to even greater things. Morris has created signature images for the 76th annual Academy Awards (The Oscars), the 38th Montreux Jazz Festival, The Andre Agassi Foundation and the 2006 Major League Baseball All-Star Game. He was selected by the International Olympic Committee to create 36 original paintings regarding the spirit of the Olympic Games and The International Olympic Museum hosted a one-man exhibition in Lausanne, Switzerland, during the 2004 Summer Olympic Games in Athens, Greece. Burton Morris already has an amazing and substantial body of work behind him and his artwork is displayed in galleries and museums around the world. His artwork is also featured in the collections of The Academy of Motion Picture Arts and Sciences, The Jimmy Carter Center amongst many others. One-man exhibitions include Sothebys of Amsterdam, the International Olympic Museum and the Hickory Museum of Art. Morris` artwork has been exhibited in 20 cities and in 8 countries across 3 different continents. Because of his continued success celebrity owners of Morris work include the likes of Oprah Winfrey, Roy Disney, Stan Lee, Brad Pitt, Jennifer Aniston, Keanu Reeves, Donald Trump, Jay Leno and President Sarkozy of France. Among corporate owners, Morris can include the likes of Chanel, Microsoft, Sony, Apple, Rolex, Samsung, Kelloggs, Heinz, Absolut Vodka and Coca Cola. 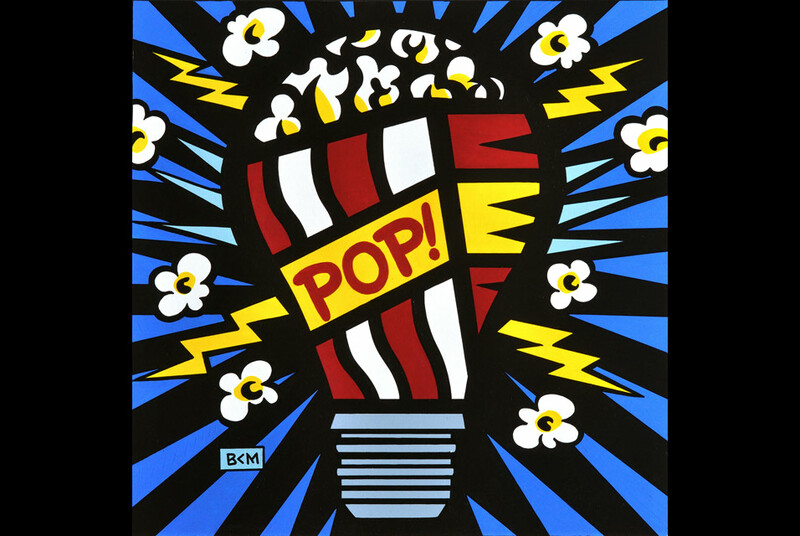 Burton Morris artwork is a must see and must have for any collector of pop art who is looking for the next pop artist to take on the mantle of the likes of Andy Warhol and Roy Lichtenstein.